The efficiency of biological wastewater treatment plant is determined by bacterial metabolism. There are data on the effect of operational parameters on microbial consortia present in laboratory scale reactor. However, knowledge on the full-scale reactor is still limited at present, hence the need to define the relations between the microbial structure and the performance of full-scale reactor. 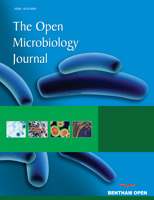 In this study, the microbial community structure in a full-scale UASB reactor treating brewery wastewater was assessed using metagenomics Next-Generation Sequencing technique. Granular sludge samples were collected from the UASB reactor treating brewery wastewater and extracted genomic DNA was amplified using barcoded bacterial primer sets targeting V3-V4 region of the 16S rRNA genes on sequencing Illumina MiSeq platform. The taxonomic analysis revealed the abundance of bacteria (~95%) with considerable Archaea community (~2%) in the granular sludge. After trimming, 18 bacterial phyla, 29 orders, 36 families and 44 genera were recovered from the 48,488 sequences reads of the 16S rRNA genes analysed, where the most abundant community belongs to Firmicutes, Bacteroidetes, Synergistetes and Proteobacteria phyla. For a sustainable bioenergy generation, understanding the mechanisms of anaerobic system in relation to microbial community is an important factor to increase the production of biogas production during wastewater treatment. To the best of our knowledge, this report is one of the studies that explored and described bacterial diversity and community structure of a full-scale UASB reactor treating brewery wastewater using high-throughput sequencing. This study provides insight into the dominant microbial community and their phylogenetic diversity in biogas producing reactor. Keywords: Brewery wastewater, Bacterial community, Full-scale UASB reactor, Granular sludge, Next generation sequencing (NGS), Phylogenetic diversity..
© 2019 Enitan et al.